5 billion YouTube videos are watched each day that’s a staggering is 5,700 per second. Most importantly, 1.25 billion of these views relate to Tutorials or Current Events. What’s loud and clear here is that people view and consume video content at a most alarming rate and it’s now an integral part of our day to day lives. There’s loads of opinion on this and I’m not going to add to it here but here’s another interesting fact. If my oven breaks down because it’s not getting hot I’ll search online ‘How to change the element’ in my particular oven. I’m going to be served up a plethora of video content on just how to fix it. Sure, some is going to be more reliable than others, but the point here is I don’t have to learn how to fix every aspect of my oven before being able to fix the bit I need. So for me, the correct length of a video is one that gets right to the point. One that is easy to follow and authoritative. In real terms the shorter, the more relevant, the better. Have you seen how many different wash programmes these things have? Compare that with how many you’re actually going to use. So why do we need to pay for things we aren’t going to use? The same thing goes for many LMS and Content providers, they just want to tell you how many thousands of Courses they have. 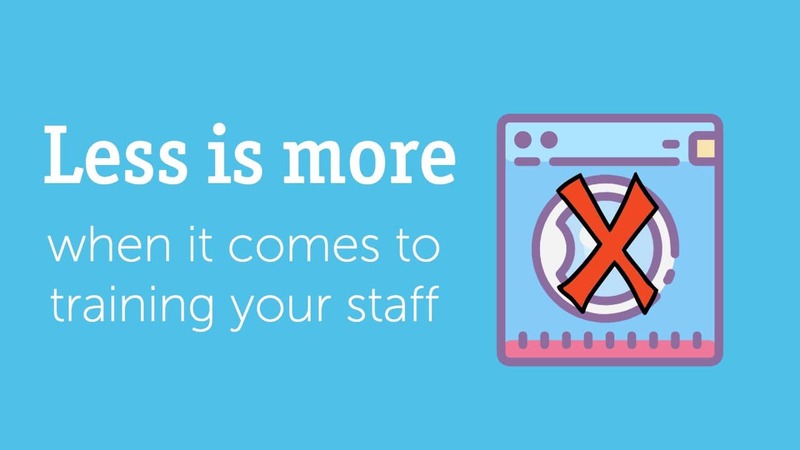 These courses cover everything but, and it’s a big but, do your staff and your business really need them? We’re told it’s all about choice. All about having everything in one place. I get that but why do we have to pay for something that we’re never going to use? As I see it it’s all about suppliers demonstrating how much content they have. But it should be about providing the content that your business and people need at a price point that’s reasonable. Surely, the days of the Washing Machine Syndrome are over. All of this can easily be wrapped up in the term ‘Less is more’. You see as a business I want my people to be the Best they can be, be the Most Productive, offer the best Customer Care, be highly Motivated, be Fulfilled with what they do and to always want to strive to Achieve more. I want to take advantage of the latest and the best that technology can offer but I don’t want to bombard them with long boring content that takes hours to go through just to get to the point in question. Neither do I want to have masses of content that’s simply not relevant to their needs or my business. So less really is more – short, unambiguous and reliable content that’s relevant and adds real value. Content that I can buy at prices and terms that make sense, and content that I can add to my LMS when and however I want. At Mi Crow we’ve developed just that. Short Mi Crow Courses get right the point in a few minutes. Mi Crow Courses increase your learning and allow you to apply what you’ve learnt to the real world straight away, saving you time and money. 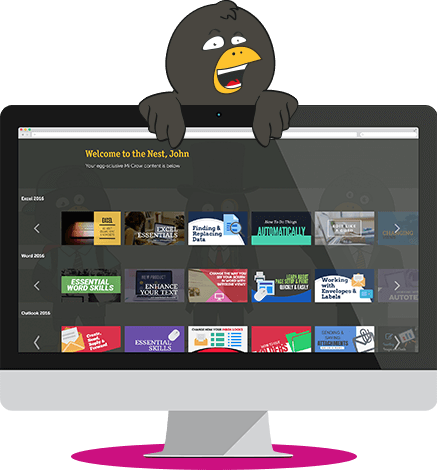 Our content can be uploaded to your LMS or accessed through our Portal, giving you what you need when you need it. And priced sensibly to match both your needs and budget. Find out more by calling us on 03333 449918 or Contact Us right here.